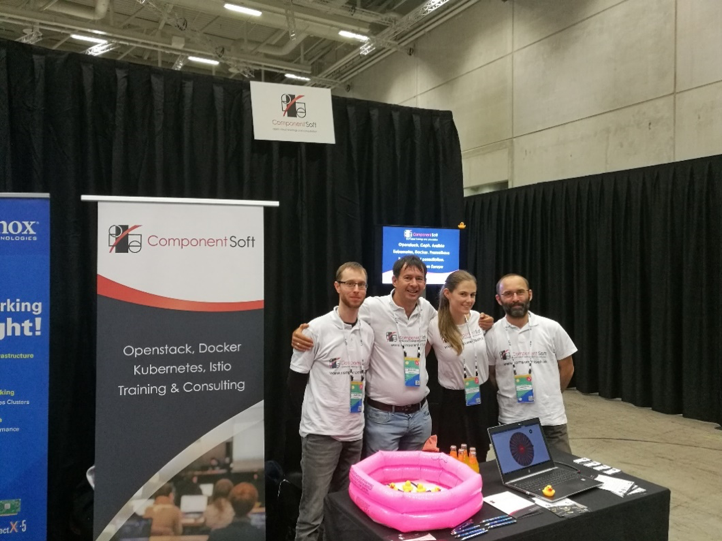 In November 2018 the Openstack Summit took place in Berlin, and we can proudly say that the Component Soft Team were there as a sponsor. We had a great time in Berlin. Here is a short summary about our Summit experiences. 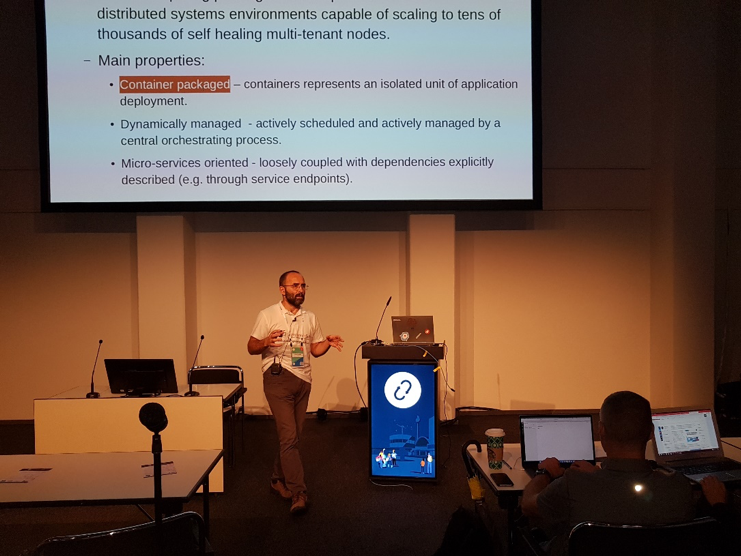 For us the highlight of the conference was our CTO László’s intensive training „Kubernetes Administration 101: from Zero to (junior) Hero”. 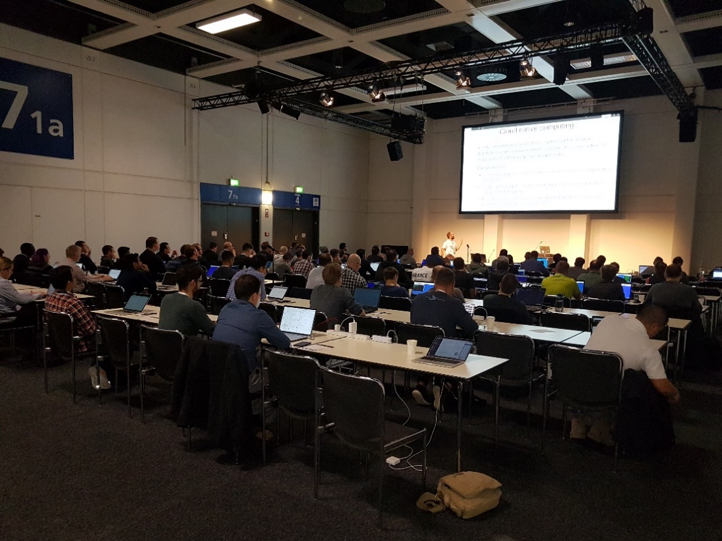 In this training, 70 participants were able to learn the main concepts and daily administration tasks of Kubernetes. 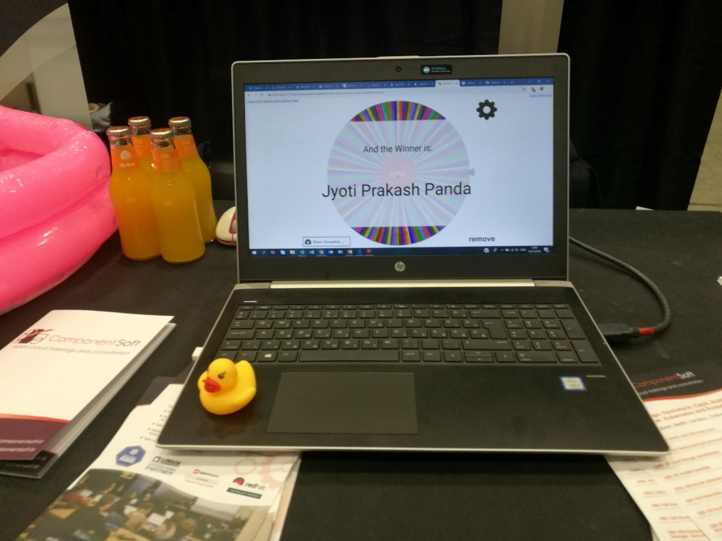 Main topics were: Linux container and Kubernetes Intro, Accessing Kubernetes and access control, Workloads, Accessing applications, Persistent storage. If you were there, we hope that you enjoyed it. If you couldn’t attend, you can reach the presentation slides here. 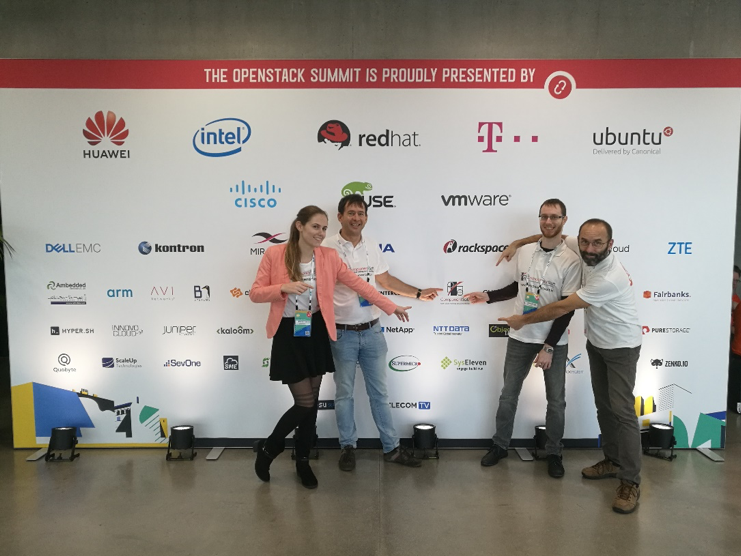 During László’s presentation (and through the Summit) you could meet with us in the Marketplace, talk a little bit, or participate in our game and win a Component Soft power bank or the main prize, a free seat on one of our live online Openstack or Kubernetes trainings. 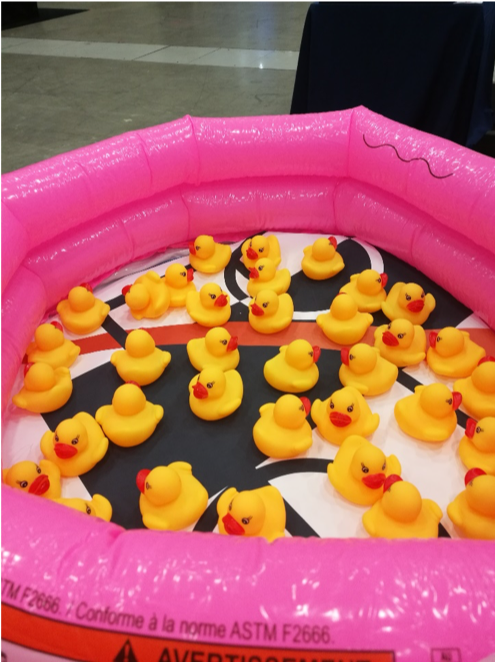 If you participated in our little rubber duck game, you could win various prizes. The happy winner of the main prize was Mr. Jyoti Prakash Panda from Infosys India.